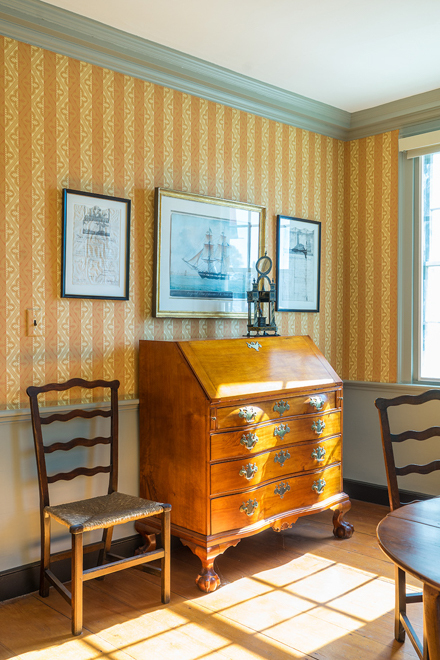 This bold stripe was found in the parlors of houses in Strawbery Banke and West Kennebunk, New Hampshire. It was printed by Moses Grant Jr., who is documented as working in Boston from 1811-1817. It is typical of the strongly abstract, geometric “Harlequin” patterns popularized by the French in 1800. Americans printed many of these harlequin patterns from 1800-1820. 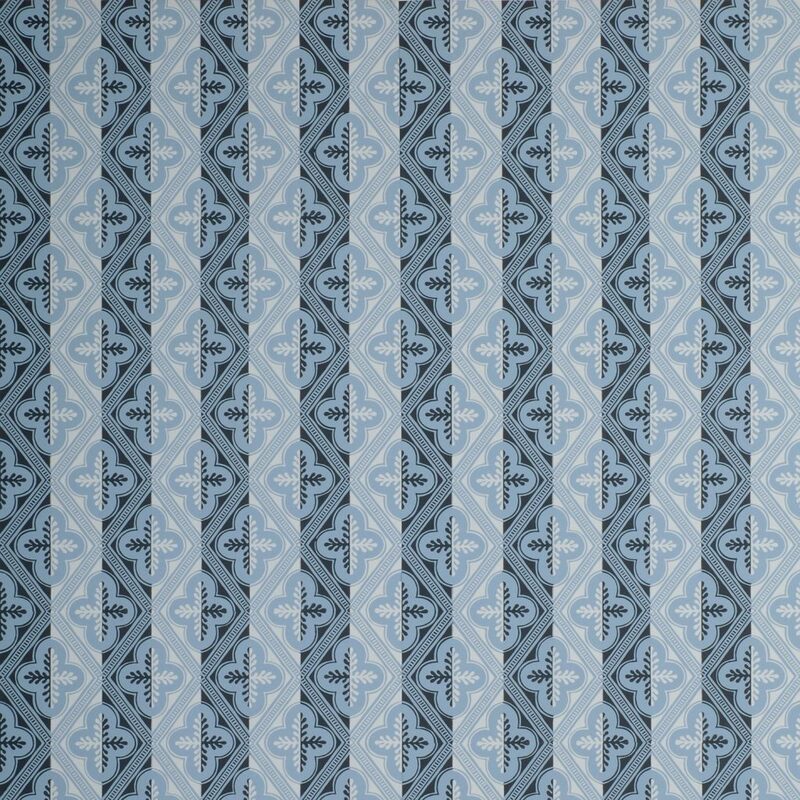 The harlequin effect is achieved by splitting motifs symmetrically and printing each half into a contrasting color. In this pattern, perhaps due to its simplicity, this results in an interesting shift between foreground and background, stripe versus image. This quatrefoil diaper pattern was found hung with Adelphi’s Rose and Laurel Border. Historically, it would be hung either with a narrow border around all margins or with a combination of a broad festoon frieze and narrow borders to trim the other margins. Imperial Measurements: Repeat 6 ½ inches, width 19 ¾ inches, length 11 yards, straight match. Metric Measurements: 16.5 cm, 50.8 cm, 10 m.